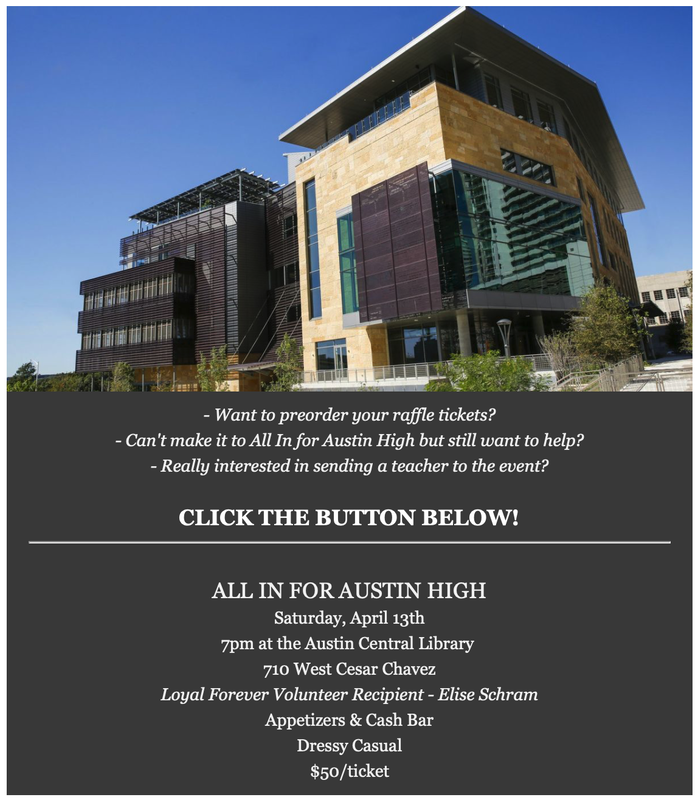 Due to big-hearted contributions in amounts large and small, Austin High has a tradition of stepping in where our state funds fall short, keeping 100% of the money raised at AHS. Thank you for your commitment to all our current and future Maroons! Winner can pick up their credentials at will call on the night of the show. Throw a fun backyard shindig without even thinking about it! Invite friends to watch a college ball game, congratulate a grad or celebrate a birthday. 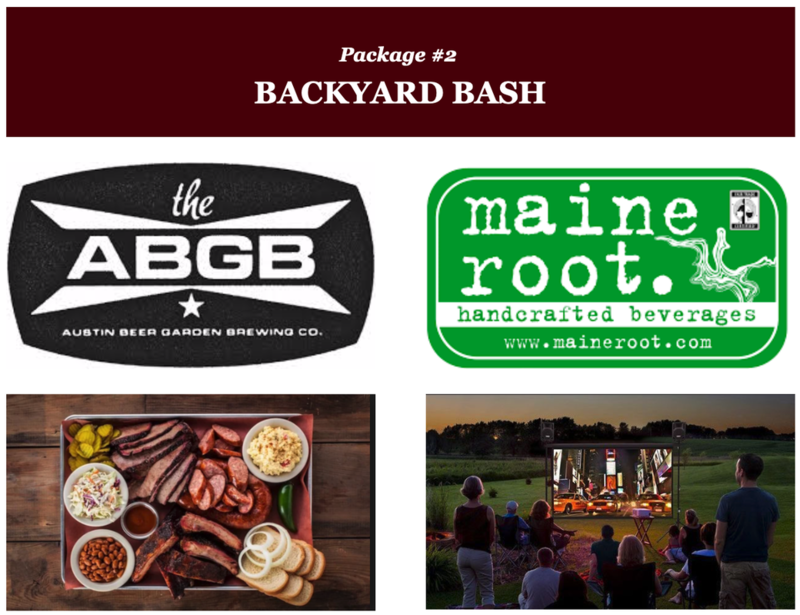 This package gives you everything you need to for an awesome backyard party, including food, drinks and big movie screen with projector! - Shuttle runs right outside the home, 10 minutes to the slopes! Look forward to a weeklong stay at the Boat House in Breckenridge, Colorado! Hit the slopes in the winter of a world class ski resort, or chill out in the mountains during the summer. 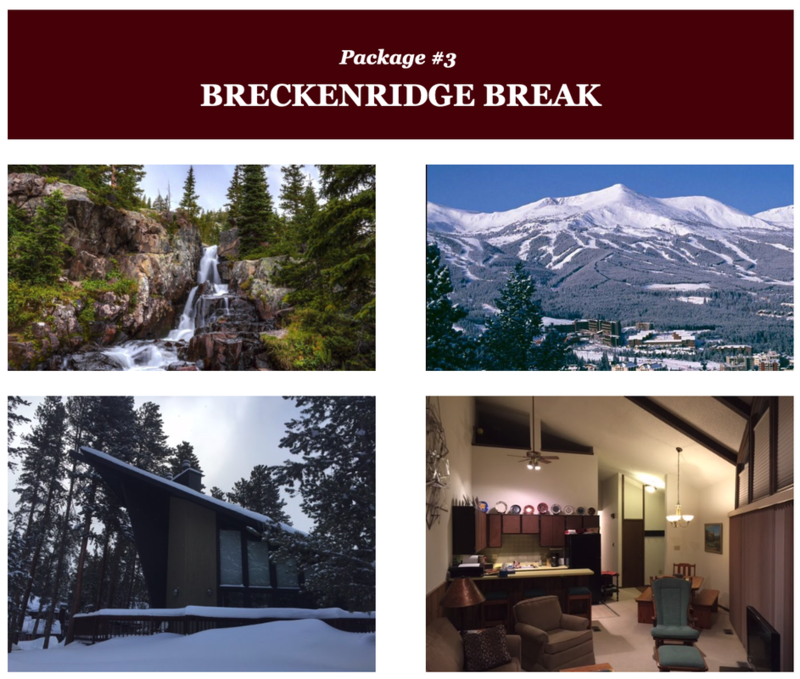 Winner will spend a week at a three bedroom duplex located in beautiful Breckenridge, Colorado less than a mile from the slopes (an easy 10 minute bus ride). It is truly a beautiful location that can be enjoyed either in the summer or the winter for a week with 7 of your best friends or members of your family (limit of 8 people). See all the home details here. *Award is non-transferable. Only raffle winner and friends/family may go. Use calendar on home’s website for availability. Not generally available during holidays and school breaks. Holidays that may be available include MLK weekend, Presidents weekend, Memorial day, and Thanksgiving. Must be used by September 15, 2020. A beautiful new pair of boots! standard inlays, or your own personal "brand". 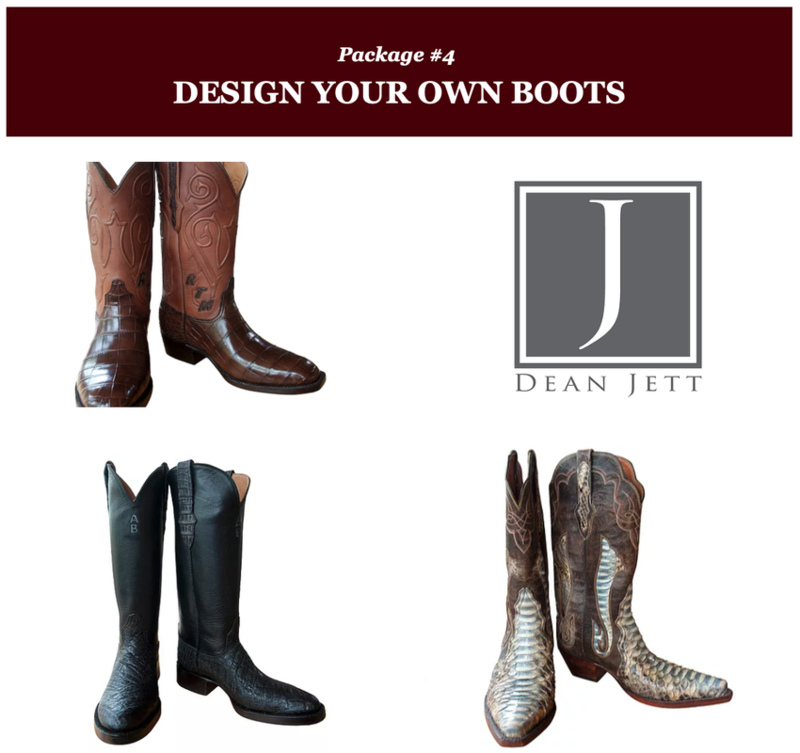 Dean Jett Custom Clothiers will work with the winner to design a boot that is uniquely theirs. Don’t settle for something that someone else has designed, tell your story and create your own signature pair! Their skilled boot makers will craft boots that showcase your unique personality, as well as a comfortable fit that you will enjoy wearing for years. Raffle prize good for boot value of up to $1000. 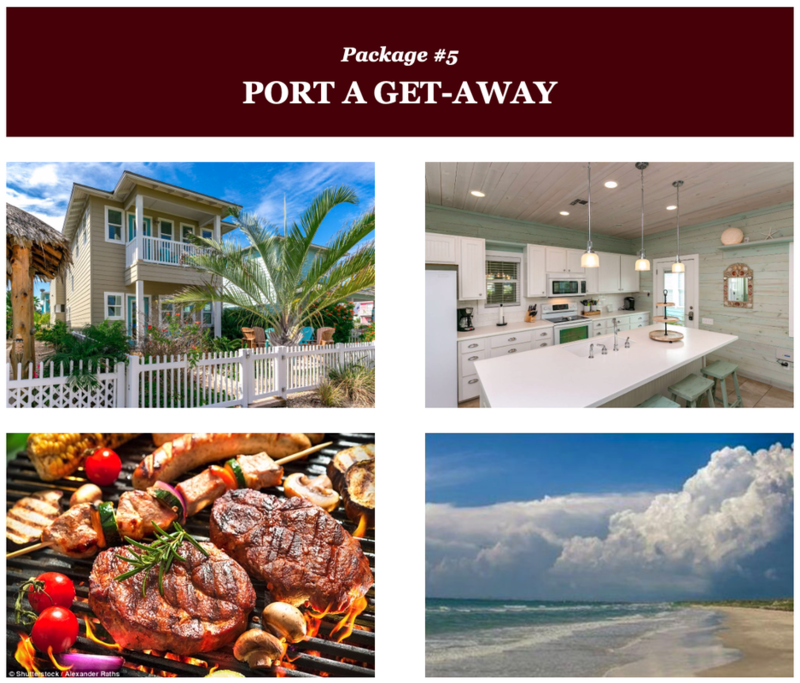 Get excited for a fantastic long weekend in Port Aransas with friends and family, staying at a beautiful, newly built 3 bedroom, 3.5 bath house that sleeps 10. Hang out on the beach, play in the community pool and relax. Before you leave Austin, stop by Lee’s Meat Market for delicious ready to cook steak, fajitas and kabobs, making dinners each night a breeze! Click here for full home details! Beach house use is for 3 nights, can be extended at winner’s expense. 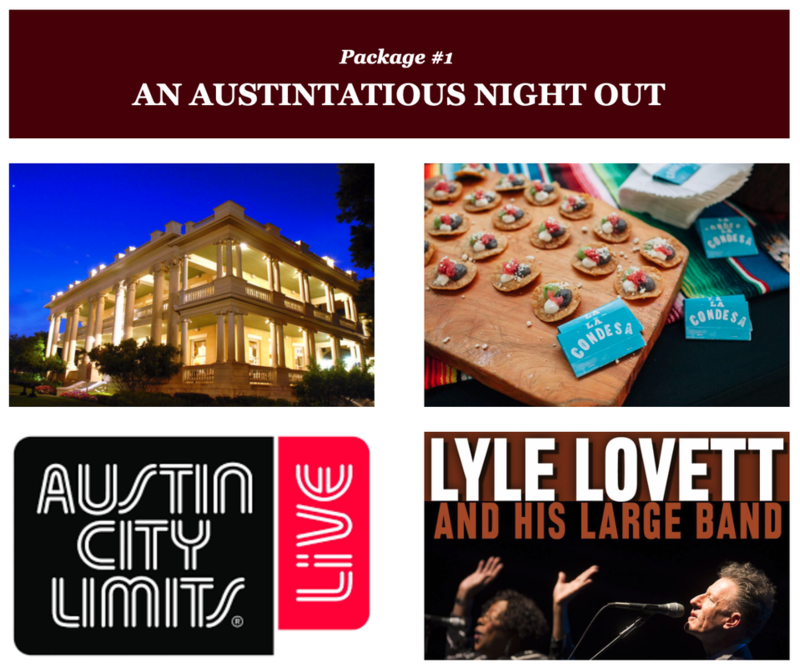 Use calendar on house website to check for availability. Winner should book their trip as soon as possible as available dates do tend to fill up quickly. Must be used by April 30, 2020, AND be 25 or older to win and/or check in at “Sand Ranch” beach house.